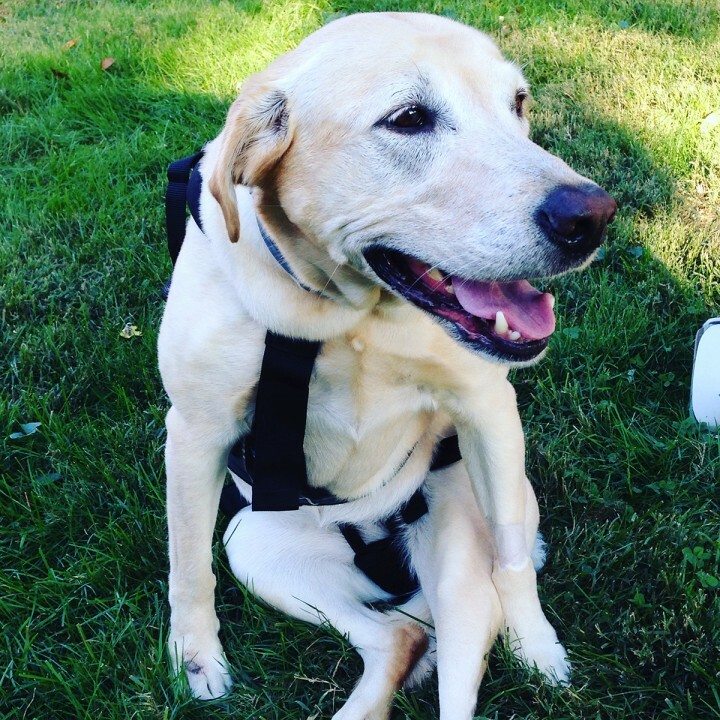 The following is a guest post from Dusty Lynn the Labrador. She suffered an FCE spinal cord injury in October, and this is her story of recovery. Hi Dusty Lynn. How long have you been a PetMeds Pet? I have been a PetMeds Pet for probably six years or so. My mom likes 1800PetMeds because of the amazing customer service, great prices, selection, coupons and fast shipping. 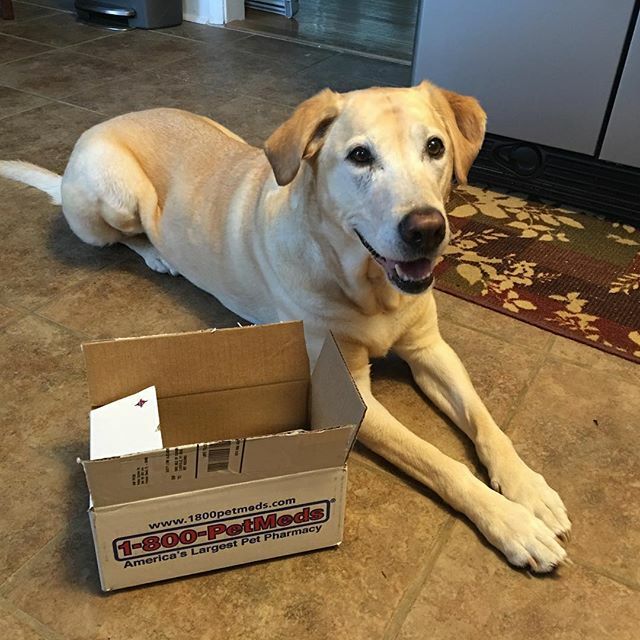 I also love PetMeds because they include an awesome treat in every box! What would you like others to know about FCE? An FCE (fibrocartilagenous embolism) is an extremely terrifying injury. There are no warning signs, no real way to prevent it or to know it’s coming. My FCE happened while playing fetch. The spine specialist said I must have landed or twisted wrong and a piece of my cartilage broke off causing basically a spinal cord stroke. My FCE affected my back half, causing paralysis in the area below my mid-spine. Sometimes when it happens higher in the spinal cord all four limbs can be affected. Prior to my FCE, I had NO idea of the immense amount of things available for dogs with special needs. From therapy and medications to supplements and equipment like wheelchairs, shoes and harnesses, there are a ton of things out there to help. Most importantly, we want people to know not to give up–even with a scary and uncertain diagnosis like a spinal cord injury. The first few days after my injury were the hardest. I was confused, my pawrents were very scared and sad and all of us were anxious as to all the uncertainties that accompany FCE’s. 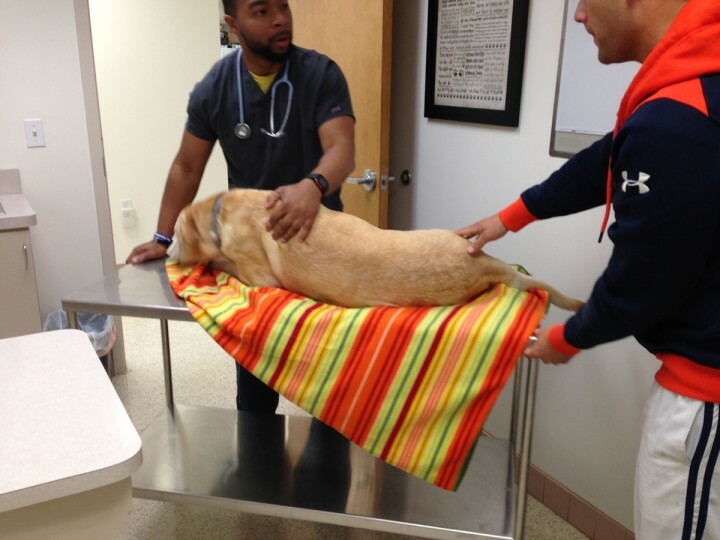 The emergency after-hours vet told us we might have to make a tough decision the next day. My pawrents say they couldn’t even bear to think of putting their sweet girl down. Thankfully, the next morning the spinal specialist told us that although it would be a long and tough road, there is a chance for improvement. Mom and dad say I am tough and have the heart of a lion. I still have good and bad days dealing with the deficits following my FCE. I love going to therapy though. 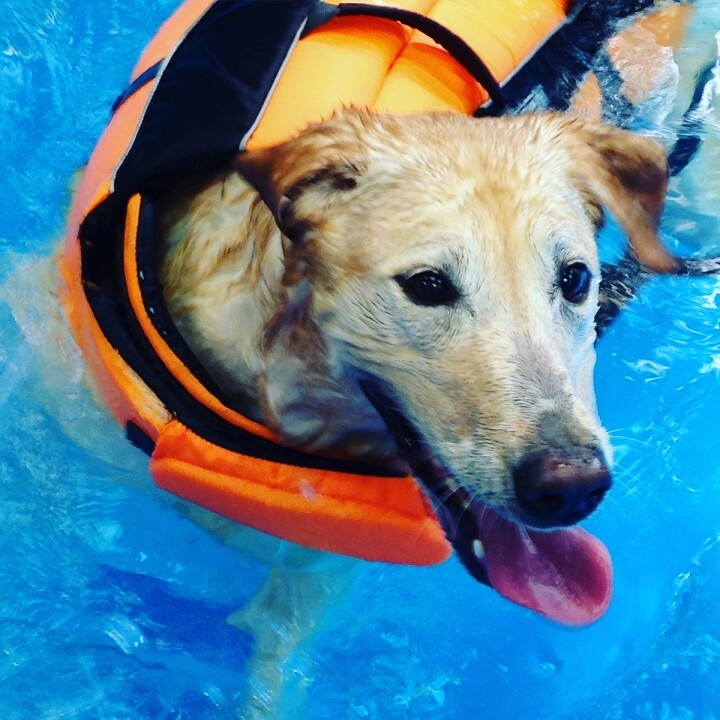 Swim/hydro therapy is definitely my favorite. With an FCE, the right combination of love/support, therapy, and medication can definitely pay off in tremendous ways. What makes you such a Good Dog? My pawrents say I have always been there for them- no matter what. I would say that I am a very good dog because I love making others happy, whether it’s little kids, my family, or even visiting the nursing facility where my great-grandpawrents live. I am also an excellent swimmer, I listen well, and I keep the yard free from squirrels and birds. ← Share what you love about #BeingAPetMom for a chance to WIN a spa day! Hang in there Dusty!!!! You are an inspiration to us humans and please keep your paws crossed for us! !